Do you have a Facebook account? Look near the top of almost any page and you will see an opportunity to register through the “Connect with Facebook” button. If you have a Facebook account, the necessary registration information will be automatically entered. Your Facebook profile photo will then be added to your user profile on Tribes. That will also register you for the forum. We hope this will promote the “community” aspect of the site. You can also email or print information from our pages. 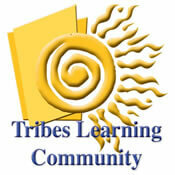 We have an archive of articles on all topics about and related to Tribes TLC. You can find some of these on the “about Tribes” page. If you want something more specific, or don’t see it offered, send us a message and we’ll help you find it. Hello Mary, great to see your face up there looking like a teenager. Things are cold down here 18 degrees. It’s midwinter and I’ve just got back from a golf game. We’re on semester break and I’m waiting for my darling wife to finish school, she’s back full time working with autistic kids. She thinks I’m not enough to occupy her time. I’m plying tribes with my classes at Victoria University and plan a training on October 20, 27, 29 and 30. An odd schedule but it has to fit with end of semester activities and has to end before the Melbourne Cup carnival starts the day after. I thought I’d written last Thursday and asked for the dates to be put on the calendar, but I couldn’t get past August when I looked just now. Keep up the great work and say hello to people over there who may remember me.